Toot The Tiny Tug Boat — Bejuba! Life on the high seas is a whirl of fun and adventure when you’re a little boat with big ideas. An eager and energetic tug in his first year of service, Toot works and plays with his ocean-going friends in the busy Harbour, a thriving coastal port which serves its community. With his rallying cry, “Heave ho! 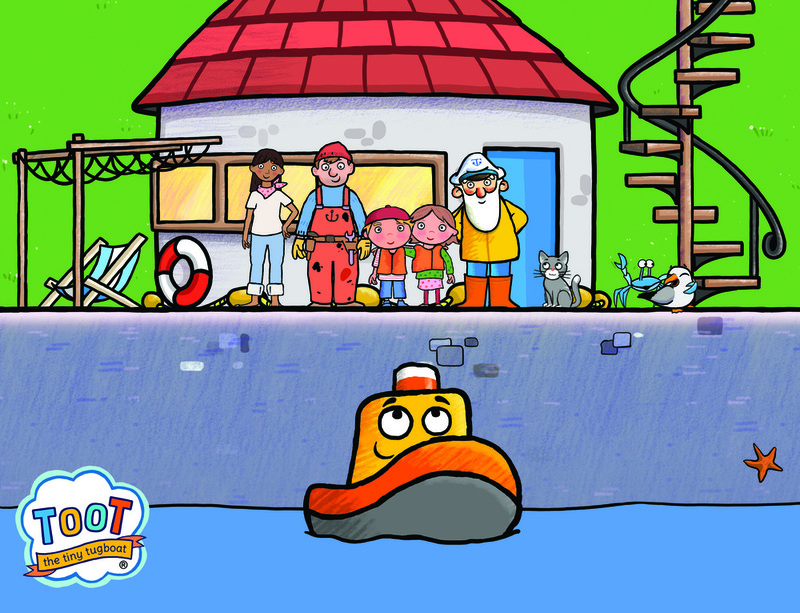 Let’s Go!”, Toot shows children that they are capable of big things no matter how small they are.